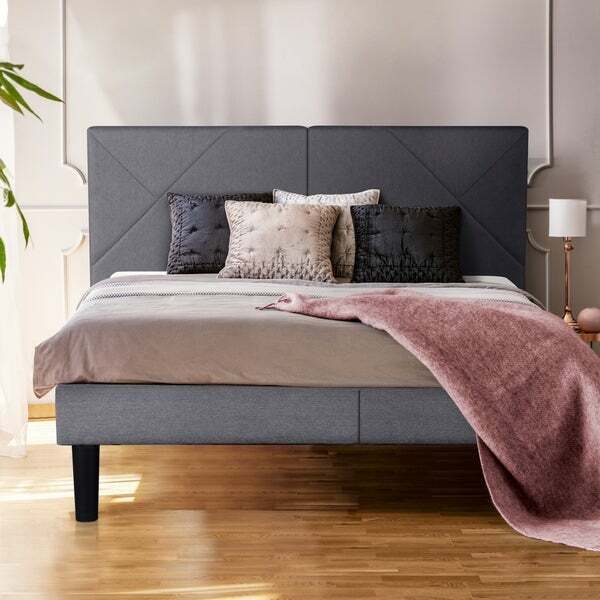 Complete your minimalist and modern bedroom with this clean and simple design fabric upholstered bed. It comes with all needed parts, headboard, footboard, side rails, slats and assembly tools. Assembly is a breeze. Dimensions 84.2 In. X 85.0 In. X 42.5 In. Very cool bed and very unique and sturdy. Modern and clean lines. Also, seems that it’s made from quality materials and will be durable. "How high is the headboard, from the floor level? Thanks." "Is it a true gray, or a brown/gray?"